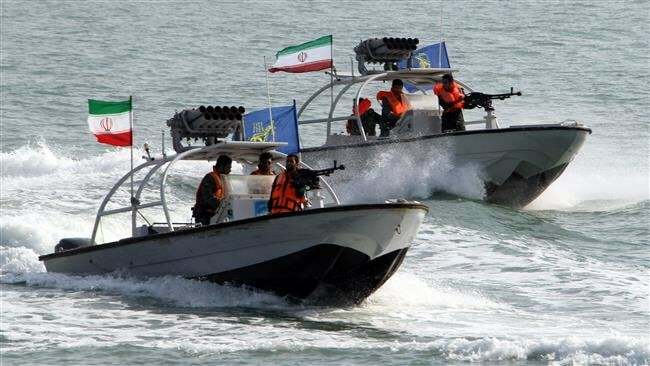 Iran has for the first time released a video showing speedboats of the Islamic Revolution Guards Corps (IRGC) closing in on a US aircraft carrier in the Persian Gulf. According to the footage, which was part of a documentary aired by the Islamic Republic of Iran Broadcasting on Saturday, the speedboats approached the USS Theodore Roosevelt on March 21. Iran has repeatedly warned that any act of trespassing on its territorial waters would be met with an immediate and befitting response. The US 5th Fleet is currently deployed in the Persian Gulf with carriers, ships, strike aircraft, sailors and marines and has been involved in occasional confrontations with Iranian forces. The IRGC in July 2017 reported a second provocation by US warships in the Persian Gulf waters less than a week after a similar incident in the same region. It came a few days after a similar incident in the northern Persian Gulf, where a US Navy ship sailed toward an IRGC Navy ship, which was patrolling in international waters, and fired two shots into the air. On January 12, 2016, IRGC Naval forces arrested ten US Marines after their patrol boats entered Iran’s territorial waters in the Persian Gulf. The following day, the IRGC announced that the Marines were released after Americans apologized for the incident. The two US Navy crafts carrying the Marines had drifted three miles into the waters surrounding the Farsi Island in the Persian Gulf. US officials later blamed a navigational problem for sailors’ drifting astray.